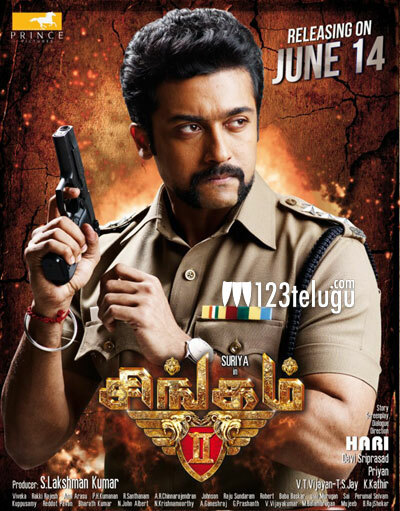 Suriya has high hopes on his upcoming film Singham. The film’s Tamil version titled Singham 2 is a sequel to the popular film Singham which released back in 2010. The same film was dubbed in Telugu as Yamudu and it well at box-office in AP. Hari, who had directed the original film, has teamed up once again with Suriya for this sequel and it has Anushka and Hansika play lead roles. “Cop roles have been lucky for me. Be it Gautham Menon’s Kaakha Kaakha or Singham, my roles have got good appreciation from the audience,” he told the media in Chennai. The Telugu version’s promotions will begin soon and Suriya is flying down to Hyderabad to promote his film tomorrow, June 5. The film has been shot in south Tamil Nadu and South Africa. Devi Sri Prasad has scored the music and it’s expected to hit the screens soon.